Maxtena Inc. has introduced a patented GNSS antenna designed for high-precision and autonomous multi-frequency applications. The M7HCT-A-SMA antenna is a high-accuracy, multi-frequency active quadrifilar helix GNSS antenna. 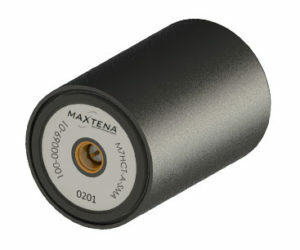 Maxtena is a U.S.-based antenna design and manufacturing company and inventor of the patented Dynamic Aperture Technology. 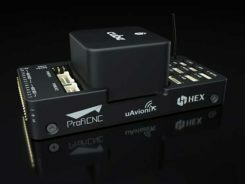 The new design will offer concurrent GNSS reception on L1: GPS, GLONASS, Galileo, Beidou and L2: GPS L2C, Galileo E5B and GLONASS L3OC in a rugged, compact and ultra lightweight form factor. 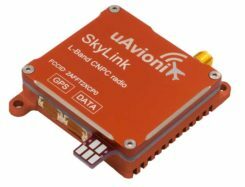 The antenna is designed for GIS, RTK and other high-accuracy GNSS applications such as the drone and automotive markets, where high performance and low weight are driving features in antenna selection. The M7HCT-A-SMA active helix design features Maxtena’s patented compact and lightweight Helicore technology. This technology provides exceptional pattern control, polarization purity and high efficiency in a very compact form factor. The antenna offers up to 30-dB gain for GNSS applications that utilize GPS, GLONASS, Galileo and Beidou, in one radome housing with a single SMA connector. The M7HCT-A-SMA will join Maxtena’s line of rugged GNSS helix antennas that are ultra lightweight, small, and precise. The M7HCT-A-SMA weighs 25 grams and is housed in automotive grade PCB plastic with automotive grade electronics and is rated IP67 when mounted. It is ground plane independent and offers extremely low power consumption and minimal phase-center variation over azimuth. The antenna offers superb axial ratio ensuring multipath error is mitigated. “Maxtena is very excited to be launching a game-changing antenna for the UAV, drone, and automotive markets, and really for any application requiring a high performance, lightweight antenna that can cover so many frequencies. It is the most robust antenna solution on the market,” said Maxtena Vice President of Sales and Marketing Vanja Maric.